The Cowichan Valley region is rich with fertile land and a mild climate perfect for producing wine, cheese, fruits, vegetables, and much more. Join this 8-hour informative and interactive tour and taste your way through the valley. 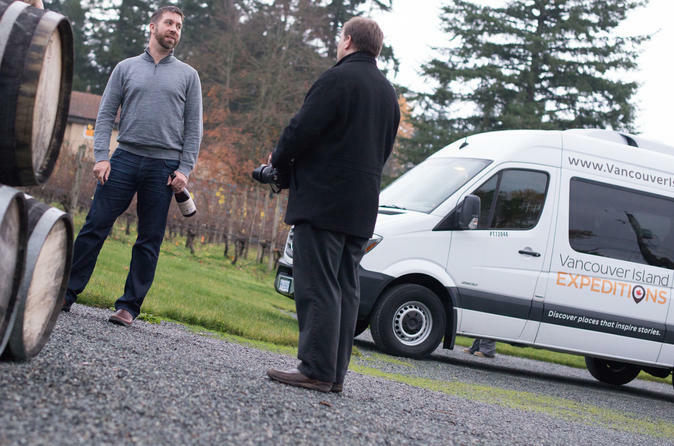 Visit some top wineries and local producers while driving throughout the scenic countryside. Your tour includes a curated itinerary complete with back of house access and generous samples at each stop, transportation in a comfortable air-conditioned vehicle, tasting fees at all five locations, lunch, and a commemorative group tour photo. Tour group size ranges anywhere from 3 to 11 guests. Experience the wildest adventure this park has to offer! This 5-hour expedition presents a full exploration of Riverbend Cave, from top to bottom. 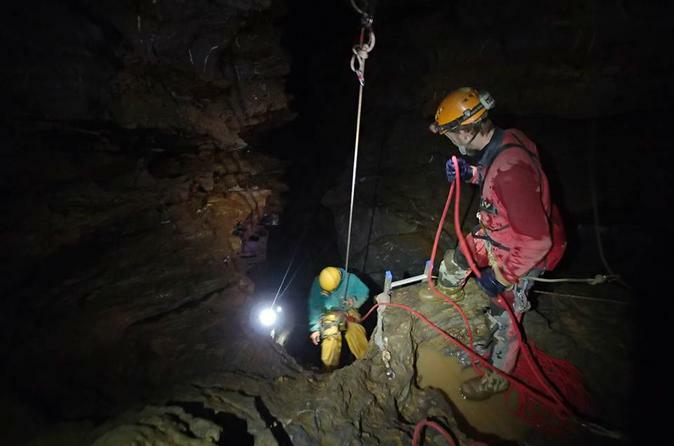 It involves climbing, crawling, cable ladders and rappelling in a wild cave environment instructed by certified cave guides. Descend the seven story Rainbarrel “ON RAPPEL” and visit the crystal-filled ”China Shop” at the very end of this amazing cave! Explorers navigate several climbs back toward the surface including a wild cable ladder. Not for the faint of heart! Transform a casual nature day into unforgettable outdoor recreation for adults, teens, kids, and groups. 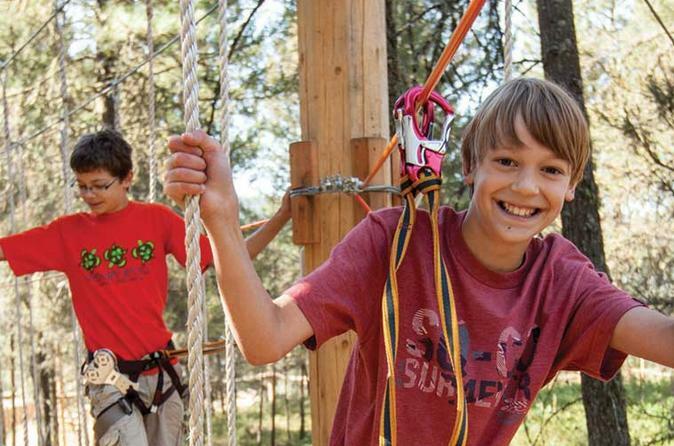 The DragonFLY Zip Line offers an exhilarating view from over 100-feet. Let your inner thrill-seeker break free! There’s only one way to feel like you’ve leapt into a life-change – from atop Nanaimo's renowned Bungy Jump bridge. 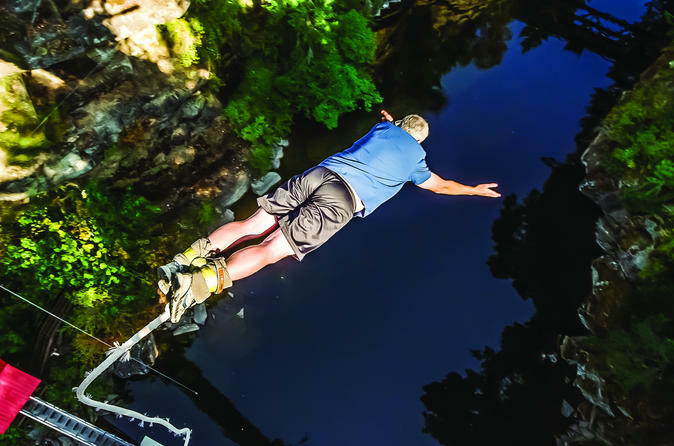 A 150-foot plunge toward the Nanaimo River is a brag-worthy moment you’ll never forget. Great for explorers aged 8 and up, this thrilling trip explores a series of marble passages and crystal caverns created by the power of “The Ice Age”. 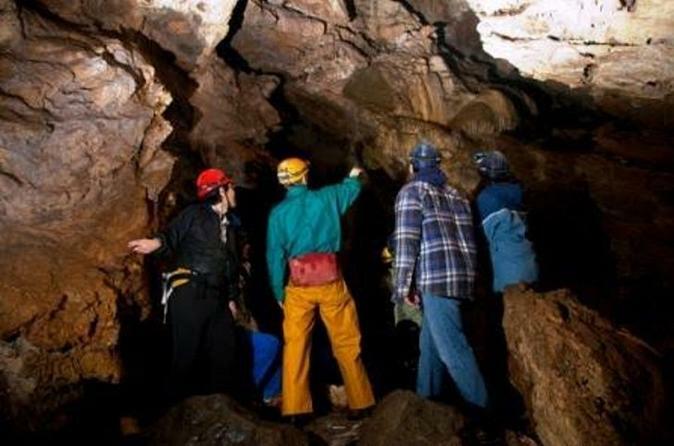 See an underground waterfall, marvel at the amazing crystals and squeeze through the ceiling galleries on this fabulous adventure, a small taste of “wild” caving! Participants will negotiate some tight passages, short climbs and lots of cave scrambling. Don’t forget your camera! Transform a casual nature day into unforgettable outdoor recreation for adults, teens, kids, and groups. Hang on tight on the Primal Swing, a giant pendulum ride that's head-spinning, gut-twisting, good times. 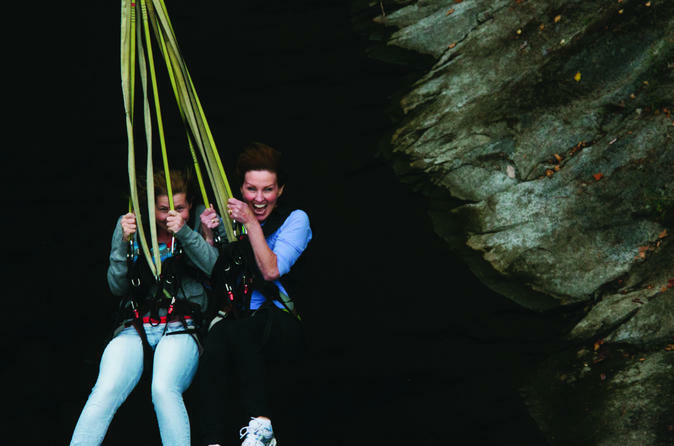 Soar over 110-feet, at up to 140 km/h, through a scenic abyss. The Monkido Classic includes games and zip lines that start six-feet (two metres) above the ground, and begin to rise as you get comfortable with equipment and moving through the obstacles. The fun and challenge increase as you go, testing your bravery and evolving your abilities. Reach up to 45-feet (14 metres) and you’ve completed the whole course! 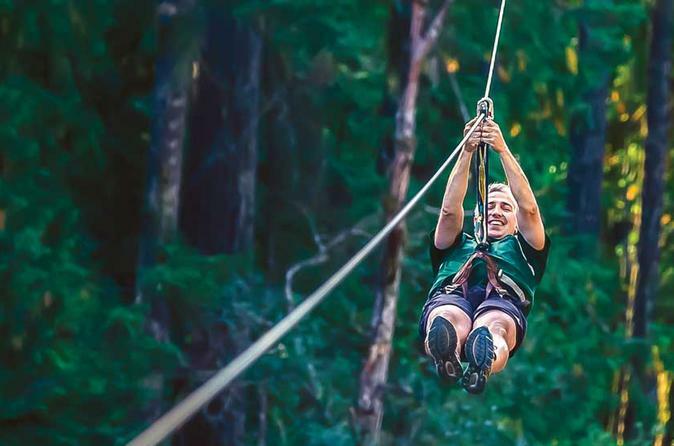 In Nanaimo, the original Monikido Aerial Adventure course stretches through wide expanses of forest. These original games are some of the trickiest. Can you "hang" in there? 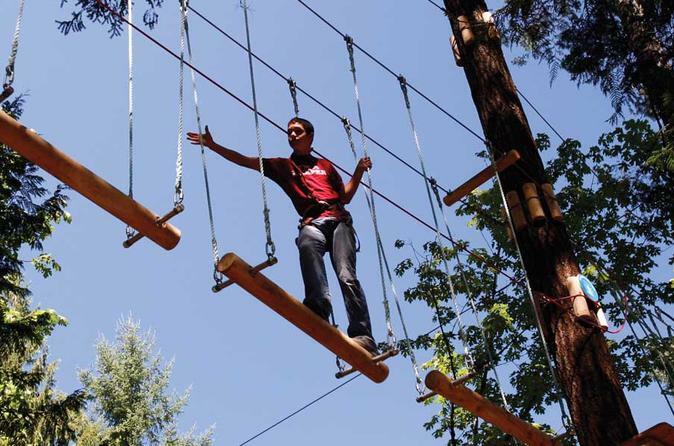 Face the challenge and discover the excitement of suspended aerial obstacles games and zip lines! The Monkido Kids include two rounds of confidence-building games and obstacles. Kids explore independently (while chaperons cheer them on)! In Nanaimo, the original Monikido Aerial Adventure course stretches through wide expanses of forest. These original games are some of the trickiest. Can you "hang" in there?